Finnish punk rock’n’roll band DAGGERPLAY have announced the vinyl release of their second album ‘Subterranean Reality‘, due out November 17, 2018. 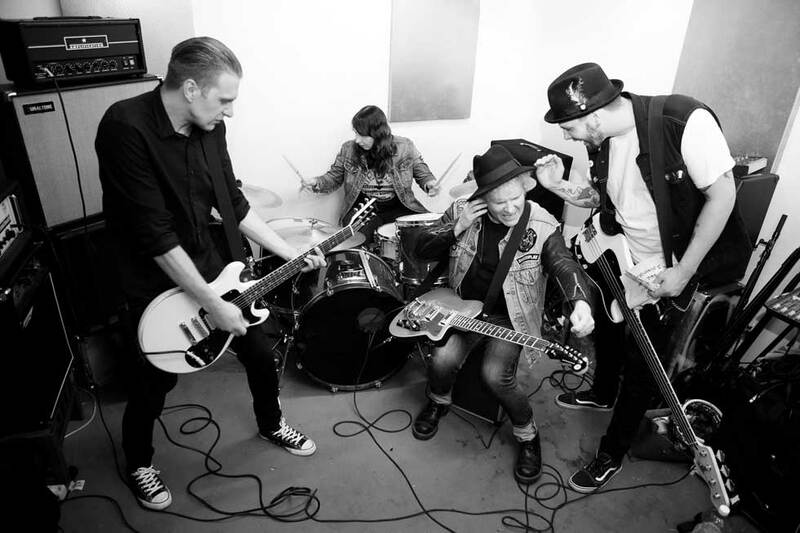 DAGGERPLAY is a Finnish punk rock’n’roll band formed in Helsinki in the end of 2011. DAGGERPLAY‘s sound is a combination of punk rock, traditional rock’n’roll and power pop. The album was recorded and engineered by Sammy Aaltonen (Arto Muna Ja Millennium, Private Line), mastered by Pekka ‘Splendid’ Laine (LAB, Sultans Of Jungle, The Fanatic IV) at . Produced by DAGGERPLAY and Sammy Aaltonen. DAGGERPLAY is lead vocalist and guitarist Pekko Mantzin, guitarist and backing vocalist Tommi Luostarinen, bassist and backing vocalist Ville Ahonen, and drummer Sirpa Immonen. DAGGERPLAY have played over hundred gigs since they started and playing shows actively. The second album ´Subterranean Reality´ was released ond CD and digital in October 2018.